Relegation threatened Southampton are next up at Turf Moor. A real footballing battle is on the cards in east Lancashire tomorrow as Burnley strive to get back to winning ways and Mauricio Pellegrino’s Saints desperately seek three vital points to assuage their relegation fears. Sean Dyche’s ten game winless streak means that only ten points now separate 18th placed Southampton from 7th placed Burnley. Burnley recently ravaged by an unprecedented injury crisis may recall leading scorer and record signing Chris Wood to the pack and the evergreen Stephen Ward is expected to return at the expense of new recruit Charlie Taylor in the left back position. Despite his return from the physio’s treatment table, Tom Heaton the England shot stopper and Claret’s club captain is expected to find himself on the bench against the relegation threatened visitors from the south coast tomorrow. Nick Pope looks set to continue in goal as he makes a late bid to figure in Gareth Southgate’s plans for a trip to Russia with the England World Cup squad. It is quite remarkable that Burnley could have both Tom Heaton and Nick Pope representing England in the World Cup finals. 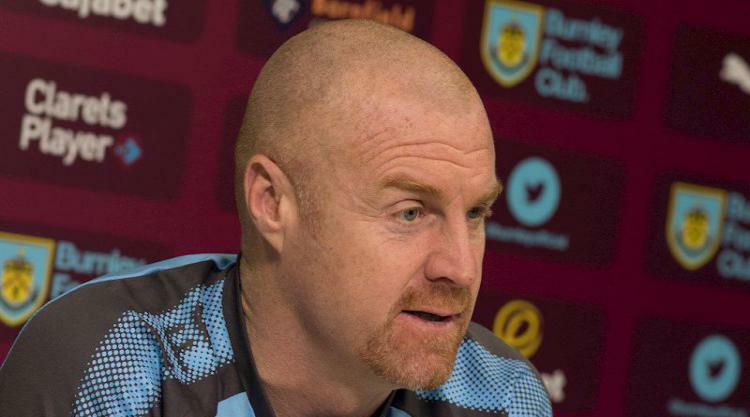 Sean Dyche himself the victim of a ruptured thigh muscle injury picked up in training during the Clarets sunshine break in Portugal will be hoping to maintain 7th place in the EPL, with both Everton and Leicester City hoping to take advantage of a slip up by the home team. Burnley’s near disastrous loss of post-Christmas form must turn around soon, the return of Chris Wood might just be enough to give Burnley the edge in what will inevitably be another low scoring encounter. I expect Burnley to line up (4-4-1-1): Pope, Lowton, Long, Mee, Ward, Lennon, Cork, Westwood, Gudmundsson, Hendrick and Wood. Dean Marney, Sam Vokes, Ashley Barnes, James Tarkowski, Tom Heaton, Charlie Taylor and Georges-Kevin Nkoudou look set for the Burnley bench. Davis and Maya Yoshida are all ruled out for the beleaguered Southampton’s visit to Burnley.